I read an interview with Jeff Walker several years ago, after the band had reformed for live shows but weren't yet planning a new album – what would a new Carcass album sound like, the interviewer asked. 'Like Arch Enemy' was the blunt reply, and so I've been sceptical about this, the sixth Carcass album, ever since. Fortunately, it doesn't sound like Arch Enemy, it sounds like Carcass; Walker's unique rasp over some absolutely razor-edged death metal, Bill Steer's melodic guitar lines providing a compelling and enjoyable set of songs, and Daniel Wilding's (Trigger The Bloodshed, ex-Aborted) battery making up for the sad absence of Ken Owen from behind the drumkit (although he provides backing growls on a couple of songs). It's a worthy addition to Carcass' discography, and a great, kickass album. What it isn't is a revelatory masterpiece, the sort of album that refreshes a genre – I think praise along those lines is way over the top, frankly... But what isn't over the top is how excellent an album this is. It's a near-perfect metal album, from melodic intro 1985 onwards, first song proper Thrasher's Abattoir a neckdestroying assault and things falling into place from then on. Cadaver Pouch Conveyor System is heavy with expert touches of melody, perfect soloing and a subtly catchy song structure that reveals a little more goodness on each listen. Noncompliance to ASTM F899-12 Standard begins with a melodic flourish then concentrates on the business of kicking arse, Unfit for Human Consumption has the sort of gallop I associate with the classic Necroticism era of the band, with speed approaching black metal levels. In the end, what is most revelatory is how timeless this sounds. Pretend that Swansong doesn't exist and ignore the twenty-year gap between this album and Heartwork, and Surgical Steel fits in next to it perfectly, an expert merging of Heartwork and Necroticism that sounds as good in 2013 as it would have ten years ago or more. There's not a weak track present, A Congealed Clot of Blood having a lovely epic doom-death tone to parts, 316L Grade Surgical Steel having perfect hooks woven in to snag your ears even more viciously next to the already sharp riffing, and eight-minute finale Mount of Execution working perfectly and seeming less out-of-place when you remember Necroticism opened and closed with tracks over seven minutes in length. The lyrical focus throughout is on animal rights, something Carcass are sure to avoid the criticism directed at the likes of Cattle Decapitation for. Walker's lyrics are clever and hugely puntastic - “a working class hero is something to bleed” one Lennon-influenced line that resonates. Yet Carcass have always had a clear intelligence beneath the gore, and it shines brightly here. 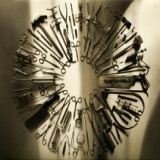 Perhaps it's the extra edge that makes Surgical Steel seem so fresh and enjoyable, perhaps the mixing and production care of Andy Sneap and Colin Richardson – perhaps it's just the sound of a classic band proving it still has what it takes. Carcass are back, ladies and gents, and they sound hungry.